Merck & Co. is buying Schering-Plough Corp. for $41.1 billion in stock and cash in a deal that gives the companies more firepower to compete in a drug industry facing slumping sales, tough generic competition and intense cost pressures. The deal announced Monday would unite the maker of asthma drug Singulair with the maker of allergy medicine Nasonex. Merck and Schering are already partners in a pair of popular cholesterol fighters, Vytorin and Zetia. The latest combination comes only a few weeks after Pfizer Inc. announced it has agreed to pay $68 billion for Wyeth. Big companies across the pharmaceutical industry are facing slumping sales as the blockbuster drugs of the 1990s lose patent protection, increased pressure to hold down prices and a dearth of major new drugs coming on the market. Merck and Schering Plough along with most of their rivals are currently eliminating thousands of jobs and restructuring operations to further cuts costs. Schering-Plough's shareholders will get $10.50 in cash and 0.5767 Merck shares for each Schering-Plough share they own. That's a 34 percent premium to Schering-Plough's closing stock price on Friday. The two New Jersey pharmaceutical companies said that Merck's top executive, Chairman and CEO Richard Clark, will lead the combined company, which will be a dominant player in treatment areas including cholesterol, respiratory, infectious disease and women's drugs, as well as vaccines. The two companies had a combined $47 billion in revenues in 2008. Schering also makes the biotech arthritis drug Remicade, plus a host of popular consumer products such as the Coppertone suntan line and Dr. Scholl's foot products. The transaction is to be structured as a reverse merger. As a result, Schering-Plough will be the surviving corporation but will be take the name Merck. The new company will stay at Merck's headquarters in Whitehouse Station, N.J., but said that the "substantial majority" of employees of Kenilworth, N.J.-based Schering-Plough will remain with the combined company. Schering-Plough's CEO, Fred Hassan, will participate in planning integration of the two companies until the close of the deal, which is expected in the fourth quarter. Merck's sales were down 3 percent in the fourth quarter, at $6 billion, while Schering-Plough's were up 17 percent to $4.35 billion, mainly because of Organon's products. The companies said this will improve their finances, giving them annual cost savings of about $3.5 billion each year after 2011, and will boost earnings per share in the first full year after the deal closes. Merck has about 55,200 employees and Schering-Plough, which grew significantly with its November 2007 acquisition of Dutch biopharmaceutical company Organon BioSciences NV, has about 55,200 employees. 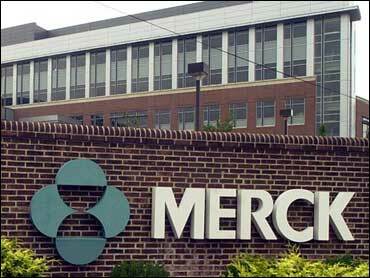 "There'll be no immediate changes" to staffing levels, Merck spokeswoman Amy Rose told The Associated Press. "Eventually, we anticipate an approximate 15 percent reduction in the combined company's headcount." "There's a variety of reasons," for the reverse merger, Rose said. She said the specifics would be discussed during a conference call.